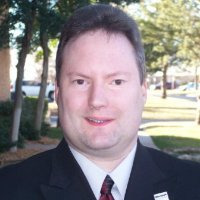 I am Kevin Fream, CEO of Matrixforce, and all about disrupting business by streamlining technology. Ask me anything! Before starting, let me give you some info about me. I despise both apathy and bluster, but appreciate straightforward insight. Do something strikingly different. Cut to the chase and work backward to get the right actions. Be more prepared than the next guy and anticipate what happens next. That’s my approach to virtually everything. For the last 20 years, I’ve helped mid-sized businesses eliminate technology headaches while thriving in the hyper-competitive technology industry. Hopefully, I can be helpful and provide you a few unusual pearls of wisdom! Most AMA events are scheduled for a specific time. However, this AMA is referenced for various articles, videos, and presentations. Excluding holidays or special occasions, responses will be made Monday – Friday, 8a – 5p CST on a continual basis. Please post your questions now.